Reprint. Translated from the Polish This translation originally published: 2017. 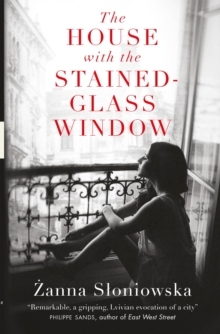 Amid the turbulence of 20th century Lviv, meet four generations of women from the same fractious family, living beneath one roof and each striving to find their way across the decades of upheaval in an ever-shifting city. First there is Great-Granma, tiny and terrifying, shaped by a life of exile, hardship and doomed love, now fighting to keep her iron grip on the lives of her daughter, granddaughter and great-granddaughter. Then there is Aba, arthritic but devoted; cowed and despised by her mother, her one chance of happiness thwarted and her hopes of studying painting crushed. Thirdly, Marianna, the brilliant opera star: bold, beautiful and a fearless crusader for Ukrainian independence, who is shot during a demonstration and whose life and martyrdom casts a shadow upon the young life of the fourth and final woman, her daughter. More important even than these four women though is the character of the city of Lviv (or Lwow, or Lvov, depending on the point in history). A city of markets and monuments, streets and spires, where history and the present collide, civilisations clash and stories rise up on every corner.